A man accused of murdering four soldiers in an IRA bomb attack in London’s Hyde Park in 1982 has been arrested on suspicion of murdering two other soldiers in a separate attack. Members of the Garda Síochána and the Northern Ireland police service (PSNI) arrested John Downey, 66, on Monday night in Co Donegal, in the Republic of Ireland, in a joint operation. He is due to appear at the high court in Dublin on Tuesday and is expected to face extradition proceedings. It is understood that Downey was arrested on suspicion of abetting an explosion and of murdering Lance Corporal Alfred Johnston, 32, and Private James Eames, 33, two soldiers from the Ulster Defence Regiment (UDR), in Co Fermanagh in Northern Ireland in 1972. The arrest was a dramatic reversal of fortune for Downey. He walked free from the Old Bailey in February 2014 after his trial for the Hyde Park murders collapsed because of a secret letter from the British government that gave him a guarantee he would not face trial, a revelation that caused uproar. 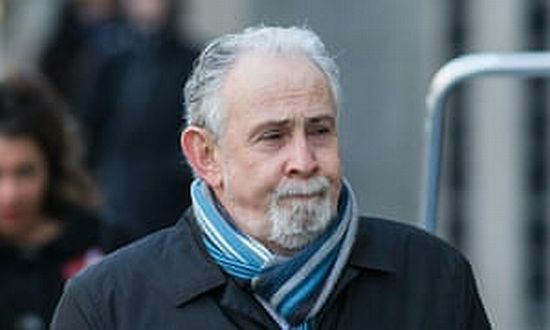 Downey’s lawyers argued that he should not face trial because he was one of 187 IRA suspects who were sent letters giving “a clear and unequivocal assurance” that they were no longer wanted by any police force in the UK. The British government gave the assurance in return for the IRA’s promise to decommission its arms as part of the Good Friday peace deal. Downey had pleaded not guilty to the murder of four soldiers from the Household Cavalry who died in the blast on 20 July 1982, along with seven of their horses. The bomb had been concealed in a car and was detonated as the soldiers rode past on ceremonial duties. Supporters and relatives of the four soldiers – Trooper Simon Tipper, 19, Lance Corporal Jeffrey Young, 19, Squadron Quartermaster Corporal Roy Bright, 36, and Lieutenant Anthony Daly, 23 – condemned Downey’s release and vowed to continue to fight to see justice done. The victims’ families are pursuing a civil action against Downey, seeking financial compensation and pushing for a finding that he was liable for what happened. 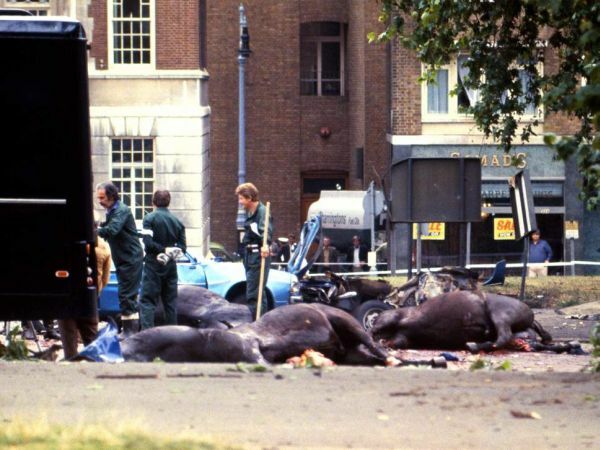 Monday’s arrest, however, related to the deaths of the UDR soldiers a decade before the Hyde Park attack. Johnston and Eames died when an IRA bomb exploded in a car they were checking in Enniskillen on 25 August 1972. Their families have been kept informed of developments. The PSNI reopened an investigation into the attack several months after the collapse of Old Bailey trial, leading to the joint operation with police in Donegal. “Members of An Garda Síochána attached to the National Bureau of Criminal Intelligence arrested a 66-year-old male this evening, 5 November, in Donegal on foot of a European arrest warrant and is expected to appear before the high court in Dublin tomorrow 6 November 2018,” the Garda Síochána said in a statement. The arrest will add pressure on authorities to pursue other alleged IRA men who were given so-called on-the-run (OTR) letters by Tony Blair’s government. Critics labelled them a “get out of jail free card”, but officials said they were part of an administrative scheme that merely informed recipients of statements of fact. Arlene Foster, the leader of the Democratic Unionist party, welcomed Monday’s arrest. 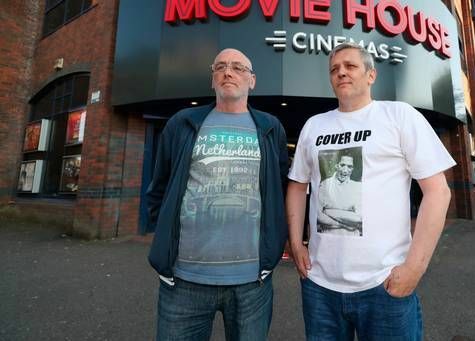 Two sons of IRA murder victim Jean McConville staged a protest outside a cinema showing a film that includes alleged details of their mother's death. James and Thomas McConville stood outside the Moviehouse on Belfast's Dublin Road last night as media gathered for the Press screening of I Dolours. The film tells the story of Dolours Price, the IRA woman who drove Mrs McConville, a mother-of-10, to her death. It includes video footage of an interview Price gave to journalist Ed Moloney in 2010 in which she names Gerry Adams as the officer commanding the Belfast Brigade and alleges that he sent her to bomb England. Mr Adams denies being a member of the IRA. Price was involved in driving several alleged informers across the border where they would be killed and secretly buried. She said she was acting as a member of a secret group in the IRA, the Unknowns. In the interview, she said she opposed 'disappearing' and secretly burying alleged informers, arguing rather that their bodies should be left on the streets "to put the fear of God and the republican movement into anybody who would chose that way of life". But she claimed that loyalty to the leadership caused her to follow orders. She alleged Mrs McConville confessed to the IRA to being an informer for money. Although asked about disappearing people, Price agreed that it was undoubtedly a war crime. James McConville said her claims did not tally with what the family had been previously told by the IRA. He insisted his mother was not an informer and said he wanted a meeting with Mr Moloney to discuss the case. He said he would like to hear the full unedited tapes of Price's interview. A 2006 Police Ombudsman report found no evidence to suggest Mrs McConville was an informer. The 36-year-old widow was dragged from her home in Divis Flats in 1972. Her body was found on Shelling Hill beach, Co Louth, in 2003. Dolours Price was a strident critic of the Sinn Fein leadership whom she believed had abandoned republicanism. She died in 2013. I Dolours goes on general release in cinemas across Northern Ireland on August 31. SHE was one of the most famous mothers in the world, but none who depicted Rosaleen Sands in scores of films, documentaries and books knew the real woman, mourners at her funeral heard yesterday. Mrs Sands, the mother of IRA hunger striker Bobby Sands, died last week [January 12] aged 95, surrounded by her family. 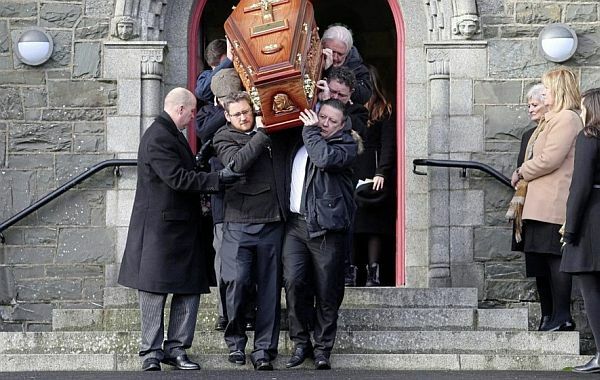 Bobby's former cellmate 'Tomboy' Loudon was among those who travelled from across Ireland to pay their last respects at St Oliver Plunkett's Church at Blackrock, Co Louth. Other mourners included former Newry Sinn Féin councillor Pat McGinn although there were no senior party members present. His son Gerard, who maintains a low public profile, helped his uncle John and cousins carry Mrs Sands's coffin to the church. Her daughter Bernadette Sands-McKevitt said they "were an ordinary family, whose life was reshaped by extraordinary events". She was supported by her husband Michael McKevitt, who was released from prison in 2016 after completing a sentence for directing terrorism. Gardai maintained a low-key presence outside the church. "Many claimed to know Rosaleen Sands (and she) figured in many books, films and documentaries that were written and produced by people who never met her," Mrs Sands-McKevitt said. She told how her mother was born in the Markets area of south Belfast in 1922 and her father died when she was just 12 years old. "She was a working class girl from a working class area and my mother never forgot her roots. "She was a principled person who had times of trouble." The young Rosaleen Kelly was set to emigrate to New Zealand, with a job lined up at the other end of the long journey, when she met her husband John Sands. The couple would go on to marry and raise four children. None of the children were allowed to "leave the house without first saying our prayers blessing ourselves with holy water". When their son Bobby was jailed, "my parents never missed a visit" and when the hunger strikes began "set about doing all in their power to highlight" the protest. "They suddenly found themselves thrown onto the world stage as they desperately tried to save their son. "Heartbroken she pleaded with Bobby. He made one simple request to her - to stand with him and not against him. 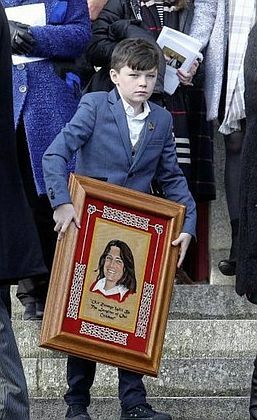 A young boy carrys a picture of Bobby Sands at the funeral of Rosaleen Sands the mother of Bobby Sands at St Oliver Plunkett's Church, Blackrock Co Louth Picture Mal McCann. "It was a choice that no mother could contemplate, but it was one that she had to make. "She left his life in God's hands and placed her trust in others to bury her son." Mrs Sands-McKevitt, a founding member of the dissident republican 32 County Sovereignty Movement, then denounced her brother's former comrades from the pulpit. "It was a trust that was breached. We found out years later (through documents) that Bobby's final burial wishes, which were not known to us at the time, were not followed." She said, that in the years that followed Mrs Sands "continued to support prisoners and their families" and was always there "when each of her children suffered". "She was an inspiration to us all and set a fine example to her children, grandchildren and great-grandchildren." Always there and never late. But I haven’t a heart as kind as you. Mrs Sands was buried privately afterwards at Belfast City Cemetery. Mrs Sands is survived by her children Marcella, Bernadette and John. Martin McGuinness personally set up the rendezvous which led to the brutal murder of a suspected IRA informer, the Government was told in 1987. Previously secret files in the Department of Foreign Affairs reveal the then Bishop of Derry Edward Daly made the damning claim seven months after the killing of Frank Hegarty. Bishop Daly said Mr McGuinness normally did not get his "hands dirty" but had run out of henchmen in the city. Mr Hegarty, a Provo quartermaster in Derry, was abducted from Buncrana, Co Donegal, and shot in the head in May 1986 after he had been lured home with claims he would be safe. His body was dumped on the side of a border road with his eyes taped. A typed letter, marked secret, was filed to the Department of Foreign Affairs by an official who had met Bishop Eddie Daly and talked about the execution. Released under the 30 year rule, it said: "The Bishop understands that, far from using a henchman (as he would ordinarily do), McGuinness personally arranged the rendez-vous with Hegarty from which the latter did not return." Bishop Daly said the former IRA commander turned peacemaker had been doing "reckless things" at the time. He said these actions would make Mr McGuinness "vulnerable if he were to come under media scrutiny". Over the years Mr McGuinness, who died last March, faced repeated questions over the Hegarty murder but always insisted he had "no role whatsoever". The dead man's family have said the former Deputy First Minister persuaded Mr Hegarty to come home. And Bishop Daly believed them. It is understood Mr Hegarty fled to England, protected by British intelligence, and is reported to have given information on a dump of IRA arms smuggled from Libya before being lured home. Bishop Daly said Mr McGuinness assured relatives on a number of occasions that Mr Hegarty would not be harmed. The Bishop was reported to have said: "McGuinness would usually try to 'keep his own hands clean' in an affairs of this sort but, with the number of Provo volunteers in Derry reduced... by rumours that Hegarty had 'squealed', McGuinness was left in a position for several months last year in which he had to do much of 'the dirty work' on his own." Bishop Daly said he was certain Mr McGuinness was a Provisional IRA Chief of Staff "at least for the North-West if not for the entire North". The letter was dated January 22 1987, about seven months after the murder. It was sent to Dublin and copied to the Tánaiste and the Ambassador in London, as well as the secretary of the Irish Government's Anglo-Irish Secretariat. It has been reported Mr McGuinness met Mr Hegarty's mother Rose on numerous occasions as he tried to coerce him to return home, including a claim he went down on bended knee. A sister of Mr Hegarty is also said to have unwittingly driven him to the rendez-vous in Buncrana. The documents can be read in the 2017/20/17 file from the Department of Foreign Affairs. Martin McGuinness also threatened to hold a dead IRA man's body for a week amid tensions over paramilitary shows of strength at funerals, the state papers have revealed. He personally delivered the chilling message to Bishop Cahal Daly's secretary as a stand-off ensued over the burial of Larry Marley in Belfast in April 1987. Marley, the mastermind of the 1983 Maze escape, was shot dead by the UVF in front of his wife and newborn son at their home in Ardoyne. Amid a huge security operation, his funeral was delayed for three days and there were two failed attempts to bury him as a heavily armed police cordon stepped in each time to stop shots being fired. At one point during the stand-off Marley's body had to be embalmed for second time while in the family home and the RUC threatened to seize the remains under public health laws. Documents released from the Department of Foreign Affairs reveal Mr McGuinness issued the warning to the bishop's emissary Fr Hugh Starkey as he mediated between the Marley family and the RUC. He said McGuinness told Cahal Daly's secretary: "We have the body and will keep it for a week, if necessary, until the Bishop speaks." The papers claimed Mr McGuinness was smarting over comments made by Bishop of Derry Edward Daly about restricting IRA funerals amid paramilitary shows of strength. Bishop Edward Daly had raised concerns that he had to say "enough is enough" and feared that if he did not take "strong and dramatic" action that some Provos might be emboldened enough to fire shots inside a church rather than outside. A Foreign Affairs official said Mr McGuinness wanted to force Bishop Cahal Daly to make a public statement, "preferably a rebuke to the police and sympathy with the predicament of the family". He noted that the Bishop "wisely refused to be drawn into this trap". "Bishop Daly's refusal to act according to Sinn Fein's bidding has created a resentment towards the Church in that section of the nationalist community which Fr Starkey hopes will only be temporary," the file said. Marley's funeral and burial lasted seven hours. A Foreign Affairs official watching the events said it was the "biggest propaganda coup since the 1981 hunger strike". In the days after the funeral, Cahal Daly, then Bishop of Down and Connor, called on the RUC to rethink its approach to dealing with paramilitary funerals. The documents also state that Fr Starkey reported suspicions that Marley had been "set up by his own people" as part of an internal Provo feud. The priest recalled one visit to the Marley home during the stand-off as "unsettling and macabre". With the coffin in the house, Fr Starkey said prayers while an IRA guard of honour stood by. The funeral eventually took place with the RUC keeping three feet from the mourners who flanked the coffin. Fr Starkey told Foreign Affairs he felt he pulled a "master stroke" just before the coffin was taken from the house when he told everyone in the house to get on their knees and recite the rosary. He said it reminded them it was a religious ceremony not a political event. Sinn Féin president Gerry Adams was rumoured to have set up a notorious IRA gang for ambush by the SAS as they tried to blow up a police station in May 1987, previously secret files have revealed. A Sinn Féin spokesman on Friday dismissed the claim as ‘utter nonsense’. 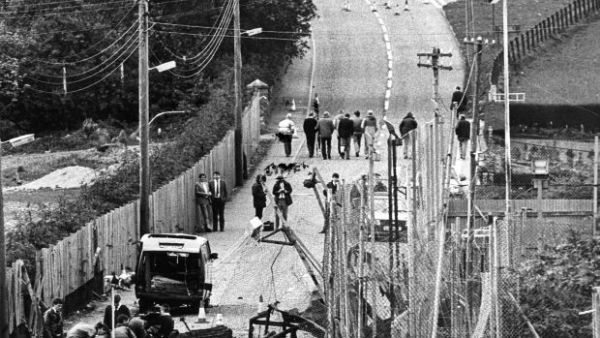 Eight members of the Provisional’s East Tyrone Brigade were shot dead after they loaded a 200lb bomb onto a stolen digger and smashed through the gates of the RUC barracks in Loughgall, Co Armagh. British Army special forces were lying in wait and killed them all, along with innocent bystander Anthony Hughes. Declassified documents released through the National Archives in Dublin revealed that ballistic tests on weapons found on the dead were used in 40-50 murders, including every republican killing in Fermanagh and Tyrone in 1987. Three civilian contractors had been murdered in the counties that year along with officers in the RUC and British Army’s Ulster Defence Regiment. The rumour about Mr Adams was passed on to the Department of Foreign Affairs by the highly respected Fr Denis Faul about three months after the Loughgall operation. The priest, who had been at school in St Patrick’s Academy, Dungannon with Padraig McKearney, one of the IRA gang, said the theory doing the rounds was that “the IRA team were set up by Gerry Adams himself”. Fr Faul said he was “intrigued” by the theory. Mr Adams declined to comment on the contents of the file when contacted in recent days. A spokesman for Sinn Féin said on Friday the suggestion that Mr Adams might have “set up” the Loughgall gang was “utter nonsense”. He said he had spoken with Mr Adams’s office about the matter but not with the former party leader. Fr Faul, a school teacher and chaplain in Long Kesh prison who died in 2006, said the rumour was that two of the gang - Jim Lynagh, a councillor in Monaghan, and McKearney - “had threatened to execute Adams shortly before the Loughgall event”. It was being claimed that Lynagh and McKearney “disliked Adams’ political policy” and that they were leaning towards Republican Sinn Féin. Eight guns, including six automatic rifles, a shotgun and a pistol, were recovered from the bodies of the attackers. In a letter to Brian Lenihan – then tánaiste and minister for foreign affairs – dated May 20th, Northern Ireland secretary Tom King disclosed that ballistic tests showed that “the weapons recovered were responsible for every single murder and attempted murder in Fermanagh and Tyrone this year, and indeed further afield as well”. Those killings included three civilian contractors as well as members of the RUC and Ulster Defence Regiment. Details of the government’s response, and reactions to it, are contained in State papers relating to Lenihan. They show how the government held firm in the face of criticism from republican elements in Ireland and the United States, as well as from within Fianna Fáil, but also baulked at a suggestion from King that an appreciative letter from him be made public to underscore joint British-Irish resolve to defeat terrorism. On May 9th 1987, the day after the attack, the tánaiste condemned it as a “futile act of violence of the Provisional IRA”, which he said had “warped policies”. In a follow-up statement to the Dáil on May 12th, Lenihan branded the IRA’s campaign of violence “morally wrong” and instanced how it had murdered a civilian and used his body “as bait to murder two policemen” as well as torturing informers. Lenihan said the only way to address injustices in the North was through politics and not “indiscriminate violence”, a position not adopted by Sinn Féin, the IRA’s political wing until 1996. Two days after that Dáil statement, Daithí Ó Ceallaigh, an Irish diplomat at the Anglo-Irish Secretariat (the Belfast-based bureaucracy operating the Anglo-Irish Agreement), cabled Dublin following a briefing from the British giving details of the attack and noting that “one particular security benefit has been the removal of three very experienced paramilitaries – Lynagh, Paddy Kelly and McKearney”. The cable also says King was very grateful for Lenihan’s Dáil statement, which he felt would have “significant benefits in convincing unionists in Northern Ireland of the determination of the Irish government to co-operate with the British government on security matters” and bolster nationalists who support constitutional methods and eschewed violence. He wished to write a letter of thanks to Lenihan and to publish it. Dublin cabled back that it agreed fully with this – “the sec. state should not repeat not publish letter”, it said. In the following days, another Belfast-based Irish official, David Donoghue, embarked on a series of meetings with Catholic religious figures and the deputy leader of the SDLP, Seamus Mallon, filing reports back to Dublin each time, each marked “Secret”. Bishop Cathal Daly wanted the RUC to give a full account of what had happened, nationalist reaction to which he thought would not benefit Sinn Féin in west Belfast. Bishop Edward Daly said Lenihan “got it about right” in his reaction to Loughgall. The bishop told Donoghue he was “struck by the lack of sympathy in the Derry area with the dead IRA men”, whom he described as having been “armed to the teeth”. The bishop was “affected by his own abhorrence of the Provisional IRA and the disgust he felt at their hypocrisy”, Donoghue reported. Bishop Joseph Duffy told Donoghue that Sinn Féin had tried to organise the funeral of Lynagh but he had refused to deal with them, talking only to the family. Duffy told Donoghue that Lynagh, who came originally from Monaghan, “was regarded locally as a ‘madman’ who would ‘have to have been put away, one way or the other’,” and had been responsible for “some 20 murders”. Other voices, however, attacked the government’s condemnatory response. Lenihan responded to Rev Joseph McVeigh from Fermanagh that he would “make no apology for condemning the campaign of violence of the IRA”. The Irish United Counties Association of New York, of which Martin Galvin – director of Noraid, Sinn Féin and the IRA’s US fundraising arm – was secretary, wrote to Lenihan, asserting the IRA men had been “summarily executed”. “The Irish Republican Army volunteers were Irishmen fighting on Irish soil for the freedom of a portion of Ireland. The British barracks which they intended to attack, as well as the British troops, constitute an illegitimate fort and foreign army of occupation,” said their letter, signed by Galvin and the organisation’s president, Frank Feighary. Uinseann MacEoin, an architect and republican activist, told Lenihan he had been “viciously anti-Irish”, a view rejected by the minister who told him and a handful of Fianna Fáil members who objected to his comments that they were in line with party policy of supporting peaceful politics only. The parents of a south Armagh man beaten to death by the IRA have accused local Sinn Fein politician Conor Murphy of "not lifting a finger" to help them find justice. Breege and Stephen Quinn were speaking before today's 10th anniversary of their son Paul's murder. The 21-year-old was assaulted by a 12-strong IRA gang with iron bars and nail-studded cudgels in a barn along the border on October 20, 2007. His parents will lay flowers at his grave in Cullyhanna today and a Mass will be held for him in the village on Sunday. "The pain is as great now as it was 10 years ago," Mrs Quinn said. "We will never rest until we get justice. 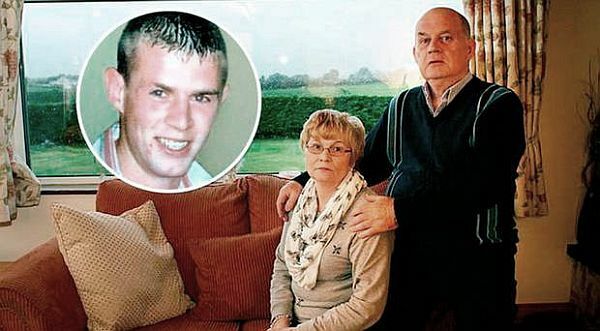 Sinn Fein should hang their heads in shame for their response to Paul's murder." After the killing Mr Murphy - who was then Stormont's Regional Development Minister - said he had spoken to the IRA and was satisfied it wasn't involved. He linked the murder to a feud among criminals. Former Irish Foreign Minister Dermot Ahern and the SDLP both asserted that the young Cullyhanna man wasn't a criminal. The Quinns have repeatedly asked the Sinn Fein politician to lift "his disgraceful slur" against their son. Mr Murphy told yesterday's Irish News that claims he had branded Mr Quinn a criminal were "without any foundation". He stated that he had condemned the murder and "said consistently that the Quinn family deserve justice". He called on anyone with information about the killing to contact the PSNI or Garda. Although more than 20 people have been arrested during the Quinn murder investigation - including Padraig 'Paudie' Treanor, a former driver of Mr Murphy's - none has been charged. Mrs Quinn said: "In 10 years, Conor Murphy as our local political representative has never lifted a finger to help us. "Indeed, he caused us great distress at a time when we were already living a nightmare. Conor Murphy branded our beautiful boy, who did nothing whatsoever to deserve the awful death he received, as a criminal. "We have repeatedly appealed to him, as a politician and a father, to withdraw his disgraceful slur against our son. He has refused to do so. For him to try to now make it out that he has supported us is nauseating." Mr Quinn said Sinn Fein leaders could visit south Armagh and "secure justice for us within an hour because it's prominent members of the Provisional movement who murdered our son". TUV leader Jim Allister last night accused Sinn Fein of "brazen and disingenuous spinning" after the killing and recalled Mr Murphy's claims at the time. "A minister of the Stormont Assembly proclaimed that he had been to see the IRA leadership," he said. "The incident speaks to the immorality of the sort of Executive some are so desperate to see return." Mr Allister pointed to DUP statements expressing outrage at the killing. "What did the DUP about it? Nothing. That is because this murder was politically inconvenient for those who sustained Sinn Fein in government." He added: "People like Paul Quinn and Robert McCartney have been completely forgotten by the political establishment." Every major bone in Mr Quinn's body below his neck was broken in the murder. He was targeted after clashing with local Provisionals over minor matters in the months before his death. Martin McGuinness, the former Irish Republican Army commander who laid down his arms and turned peacemaker to help end Northern Ireland's 30-year conflict, died on Tuesday after a decade as deputy first minister of the British province. 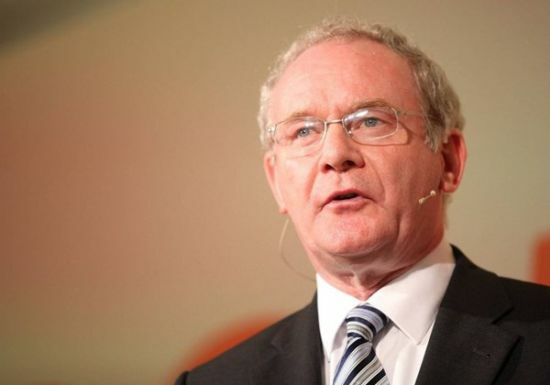 As a young street fighter in Derry and later as a politician and statesman, McGuinness saw his mission as defending the rights of the Catholic minority against the pro-British Protestants who for decades dominated Northern Ireland. But for his critics, that cause was never enough to justify the IRA's campaign of bombings and shootings that killed hundreds of British soldiers and civilians. In his later years McGuinness was hailed as a peacemaker for negotiating the 1998 peace deal, sharing power with his bitterest enemy and shaking hands with the Queen, though the gestures were condemned by some former comrades as treachery. He was forced to step down in January, a number of months before a planned retirement, because of an undisclosed illness. At the time a frail and emotional McGuinness told a large group of supporters gathered outside his home in the Bogside area of Northern Ireland's second city that it broke his heart that he had to bow out of politics. "I don't really care how history assesses me, but I'm very proud of where I've come from," McGuinness told Irish national broadcaster RTE. He is survived by his wife, Bernadette, and four children. Born on May 23, 1950 in Derry, McGuinness in childhood experienced the contempt which many of the pro-British Protestant government had for the Catholic Irish minority who dreamt of joining with the Irish Republic to the south. A trainee butcher, McGuinness abandoned his apprenticeship in 1970 to join the IRA as the guerrilla group began its 30-year campaign against British rule that Catholics found increasingly intolerable. He swiftly rose to become a senior commander. McGuinness later admitted he was second-in-command of the IRA in Derry on "Bloody Sunday" - the day in 1972 when British troops in the city killed 14 unarmed marchers, ushering in the most intense phase of the Troubles. A British government inquiry found McGuinness was probably armed with a sub-machine gun that day, but that he did nothing to justify the troops' decision to open fire on the marchers. In 1973 he was convicted by the Irish Republic's courts of being an IRA member after being stopped in a car packed with explosives and bullets and was briefly jailed. Fellow nationalist inmates recall him as a fierce football player in the exercise yard. He spent years on the run and was banned from entering Britain in 1982, during the IRA's bombing campaign there, under the prevention of terrorism act. During the 1980s McGuinness emerged alongside Gerry Adams as a key architect in the electoral rise of Sinn Fein, the IRA's political ally, advocating a strategy of combining the use of the ballot box with that of the Armalite rifle. First elected as a member of the Northern Ireland assembly in 1982, McGuinness played a crucial role in keeping the more militant wing of the IRA on board as elements of the leadership secretly probed the possibility of a negotiated settlement. Following the IRA's second ceasefire in 1997, McGuinness became Sinn Fein's chief negotiator in peace talks that led to the landmark 1998 Good Friday peace accord. Nine years later, the rise of Sinn Fein to become Northern Ireland's largest Irish nationalist party allowed McGuinness to become Deputy First Minister in the power-sharing government with bitter enemy Ian Paisley, the firebrand preacher many Catholics see as a key player in the genesis of the conflict. McGuinness surprised many by forming a close working relationship with Paisley, the media dubbing the pair "the Chuckle Brothers". In 2012 he shook hands with Queen Elizabeth at a charity event in Belfast. Such gestures alienated many former comrades who call him a traitor for helping to run the province while the Union Jack was still flying over it. McGuinness countered it was a stepping stone to their goal of a united Ireland. Over the past decade, Sinn Fein has focused much of its resources on the Republic of Ireland, where it has grown from five to 23 seats of the 166-seat parliament in a decade. A non-smoker, virtual teetotal and keen fisherman, McGuinness briefly moved south in 2011 for a failed run at Ireland's largely ceremonial presidency, wining just under 15 percent of the vote. McGuinness leaves Northern Ireland at peace and hands over to a new generation with Sinn Fein a major political force across the island, and his dream of a united Ireland inching closer after the party recorded its best ever result in an election three weeks before his death. An IRA informer living under an assumed name in Kent has been found dead at his flat. Raymond Gilmour's body was found at his home, where it had lain undiscovered for up to a week, according to reports. The 55-year-old former IRA member was forced to leave his native Derry after giving evidence in one of the republican supergrass trials in the 1980s. When the case brought against 31 people collapsed in 1984, MI5 moved him to England for his own protection. Gilmour first joined the IRA in 1980 and was involved in several operations, mainly as a getaway driver. He was arrested in 1981 after he and several others were intercepted on their way to attack police. Gilmour's cousin was one of those killed on Bloody Sunday. Speaking to the Belfast Telegraph, friends said Gilmour had never got over being separated from his family in Northern Ireland, and had suffered from alcoholism and mental health problems prior to his death. Thy blamed MI5 for 'abandoning' Gilmour, and failing to provide him with proper support (See: 'Raymond Gilmour: The lonely death of a Derry Catholic...'). His funeral will take place next week. The chief constable of Bedfordshire has addressed concerns that a probe into Stakeknife will focus on state actors at the expense of IRA personnel involved in some 50 related murders. Stakeknife was an Army agent within the IRA who has been linked to some 50 murders. Belfast man Freddie Scappaticci has denied he is the agent. Victims’ campaigners have expressed concern that the probe unveiled in recent days may focus primarily on the role of the state, at the expense of IRA members – and have asked how panel members were selected. Bedfordshire Chief Constable Jon Boutcher has appointed two independent groups of experts to support the investigation, code name Kenova. An Independent Steering Group (ISG) of senior law enforcement figures, has three members from the US and one each from Scotland, Australia and Northern Ireland – Baroness Nuala O’Loan. • Alan McBride – whose wife and father-in-law were killed in the IRA Shankill bomb in 1993. He is now a peace builder. But victims’ campaigner Anne Travers expressed reservations. “The only real victims on it are the lady from America and Alan McBride,” she said. “I wonder how they were chosen? I would have liked to have seen more victims from Northern Ireland who lived through the Troubles, can empathise with families and who have a lived understanding of life here. Another campaigner, Ken Funston of the South East Fermanagh Foundation, whose brother was also murdered by the IRA, said the probe would remove further resources from legacy policing. “The confidence in the PSNI doing anything for ‘ordinary’ victims is ebbing away, the only way you can get anything done is to allege ‘collusion’,” he said. Victims’ campaigner Willie Frazer accepted the right of the families concerned to the investigation, but insisted it would have to be fair and focus equally on state and IRA actors. For each murder involving Stakeknife, he said, the victim will have been chosen by senior high-profile republicans, as will the killers and support staff. “All this will have been reported back to Stakeknife’s handlers and will have been recorded in intelligence files,” he said. Senior republicans must therefore be arrested and charged, he added. But Mr Boutcher told the News Letter he would go wherever the evidence takes him. “The remit of this investigation is clear – Operation Kenova will seek to establish if there is any evidence of criminal offences by any party in relation to cases connected to the alleged agent known as Stakeknife. “We will go wherever the evidence takes us, regardless of who that might potentially implicate,” he said. They have championed victims’ rights “in complex and challenging situations” he added. Significant new evidence has been uncovered by an English police chief investigating more than 50 murders linked to the Army's notorious IRA agent Stakeknife. Victims' families have told stories never divulged before at the start of an independent probe by Bedfordshire Police Chief Constable Jon Boutcher into the high-ranking mole who led the IRA's "nutting squad" internal security unit while in the employ of the state. A group of six international policing experts has been appointed to inform the investigation on a voluntary basis. They include senior police officers from the US, Scotland, an Australian ex-officer and ex-Northern Ireland police ombudsman Nuala O'Loan. In 2003 Stakeknife was widely named as west Belfast man Freddie Scappaticci but he has always strongly denied the allegation. Mr Boutcher said: "This week we have heard things that from what the families have told me they have never told anyone before, because nobody has asked them. "What I have been told this week is significant evidence against the people responsible for these offences." He has asked the victims' families to give him time to investigate and recover the evidence. "It is incredible what I have heard. "There is a pessimism which I understand, I completely get, because people felt let down and almost abandoned. "It almost feels like their rights were taken away from them because of the nature of what happened to their loved ones. "They have now got a voice and that is this investigation, and they told me of what they saw at that time that they have never been able to tell anybody before and we need people to do that." 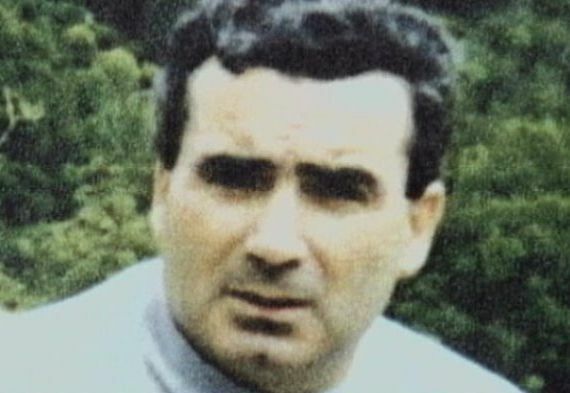 The investigation is centred on possible crimes by paramilitaries, agents and Army and police handlers linked to Stakeknife, allegedly the military's highest-ranking spy within the IRA. Multiple murders, attempted murders and unlawful imprisonments are included in the probe. NYPD deputy commissioner for intelligence and counter-terrorism John Miller and Mike Downing, deputy chief of the Los Angeles Police Department, will be part of the expert advisory group. It will also include Kathleen O'Toole, part of the Patten Commission which reformed policing in Northern Ireland. Iain Livingstone, Deputy Chief Constable with Police Scotland, and Nick Kaldas, a former deputy commissioner of police in New South Wales who has been working with the UN on a Hezbollah probe in the Middle East, complete the group. A second team of six victims' representatives have been appointed to address the needs of Stakeknife's alleged victims and their families. It includes: Alan McBride, bereaved in the IRA's Shankill Road fish shop bombing; Victims Commissioner Judith Thompson and Mary Fetchet, who founded Voices of September 11 following the death of her son at the World Trade Centre in 2001. The Stakeknife investigation was launched after Northern Ireland's Director of Public Prosecutions Barra McGrory referred the multiple allegations to the Police Service of Northern Ireland (PSNI). PSNI Chief Constable George Hamilton asked external police to undertake the probe in an effort to ensure its independence. No former or current officers who have served in Northern Ireland will work on the investigation, nor will ex or serving Ministry of Defence or Security Service personnel. It is funded by the PSNI. The bombers behind two pub blasts in Birmingham over 40 years ago may finally be brought to justice by a DNA breakthrough. Police re-investigating the 1974 IRA attacks – of which six innocent men were wrongly convicted – have found three profiles and two fingerprints on items collected in the aftermath. The discovery by a £1.6million review codenamed Operation Castors was revealed in a top-level memo seen by the Sunday Mirror. The memo says the finds are being checked against databases in Britain, Northern Ireland and the Irish Republic. The attacks on the Mulberry Bush and Tavern in the town pubs killed 21 people and injured 222. A third device was found near a Barclays bank. The men convicted of the attacks, known as the Birmingham Six, spent 16 years in prison while the real ­perpetrators were never caught. Now a “wealth” of previously unseen evidence is set to be revealed after fresh inquests were ordered following a lengthy campaign by relatives. In total, Operation Castors, which involved 16 officers and forensic experts, examined more than 18,000 items including exhibits, reports and statements. The memo from the Office for ­Security and Counter-Terrorism reveals how 35 exhibits from 1974 have been lost, saying this is “deeply worrying”. It also condemns the original West Midlands Police probe into the ­bombings as “deeply flawed”. In deciding to order the fresh inquests, Birmingham coroner Louise Hunt said police may have ignored two tip-offs the IRA were about to strike. Last week the Government told relatives wanting help with legal fees at the new hearings that direct Home Office funding had been refused. A film maker has angered some terror victims by describing the IRA attack on Lord Mountbatten’s fishing party in Sligo as “an act of war”. In an online pitch to raise funds for a short film about the 1979 bombing that claimed the life of 15-year-old Paul Maxwell, as well as the Queen’s cousin and two of his relatives, Joe Madden uses the word “war” several times. Yesterday the ‘Boat Boy’ film appeal hit its target of £15,000 and the film-maker behind the project told the News Letter he hoped to begin filming as soon as possible. Paul Maxwell’s family lived in Enniskillen but owned a cottage in Mullaghmore. The Portora Royal pupil had taken a summer job as a crew member on Mountbatten’s boat Shadow V and was saving his pay to buy a bicycle. Mr Madden said he was prepared to meet any victims’ group concerned about his description of the film’s backdrop. He said: “Everyone talks about the Mountbatten death, but no one remembers a young boy, or very few people do, especially in England, so I really wanted to tell this story. “They (the victims’ groups) can call me and we can discuss it. Kenny Donaldson of the South East Fermanagh Foundation (SEFF) accepted that the film could prove to be “extremely powerful,” but said some of the language being used was unacceptable. “What happened in Mullaghmore, Sligo was an act of terrorism, an act of cold and brutal murder, an act of cowardice – it was not an act of war,” he said. Paul’s mother Mary Hornsey said she has been “taken aback” in the past when her son’s murder has been the subject of press or television coverage without prior warning to the family. “That can come as an awful shock to people,” Ms Hornsey said. Ms Hornsey revealed that she was never quite comfortable in the Mullaghmore cottage, and had reservations about Paul taking the Mountbatten job due to the security risk. “I was assured that there was going to be a lot of protection on that boat and that is why I said ‘okay then,’ but there wasn’t,” she added. Every year, the British Government releases secret papers relating to Northern Ireland under the 30-years rule, and as time goes by we get to know a little bit more about the truth behind the Troubles. It can be a fascinating insight into the workings of the direct rule administration. Recently, the Government released a memo from a British civil servant, Stephen Leach, to a more senior civil servant, John Blelloch, who served as a deputy permanent secretary during the hunger strikes in 1981. He had a crucial involvement at that critical time with Margaret Thatcher, the Prime Minister. The memo confirms that a "good offer" was made that could have ended the hunger strike and saved four or maybe six of the republican prisoners. The official Sinn Fein narrative of the hunger strikes is that Margaret Thatcher was the Iron Lady, inflexible and immovable throughout, who was by her very inflexibility directly and solely responsible for the deaths of the 10 republican prisoners who were on hunger strike in Long Kesh. Richard O'Rawe, who was PRO of the republican prisoners in Long Kesh during the hunger strikes, has courageously put forward in his books Blanketmen and Afterlives an alternative narrative which disputes that and which is much more credible. O'Rawe makes it abundantly clear that Danny Morrison of Sinn Fein told Bik McFarlane, the IRA leader in the prison, the terms of a British offer to end the hunger strike and that McFarlane then told O'Rawe and that both of them agreed that the offer was good. However, he points out that the hunger strikers themselves were never consulted on the terms of this "good offer". He argues strongly that Adams and a committee of leading republicans, for self-interested political reasons, refused this "good offer" from the British Government in early July 1981 and when it was repeated again on July 21, 1981. The main reason for this, he suspects, was to ensure the safe election of Owen Carron in the by-election to fill the seat left vacant by the late Bobby Sands MP. If the hunger strike continued, electoral victory was assured. If there was no continuing hunger strike, then the seat could have been lost to another nationalist candidate, or on a divided nationalist vote to a unionist, thereby depriving Owen Carron of victory. This would have prevented the emergence of Adams' political strategy for the republican movement. If that was the IRA strategy at the time, then it was both cunning and ruthless, involving the additional and unnecessary deaths of the six remaining hunger strikers. This "good offer" was confirmed to intermediaries the Irish Commission for Justice and Peace (ICJP) by Adams at a meeting in a house in Andersonstown in early July 1981. This is also referred to in Leach's Government memo. The commission confirmed that Adams admitted to them in July 1981 that a "good offer" had been made by the British Government through a back channel whose code name was Mountain Climber. Adams also warned the ICJP to stay out of the process. Richard O'Rawe has kept track of previously released Government papers and says that they substantially support his narrative. The recent Leach memo reinforces his argument. He believes that Adams should apologise to the hunger strikers' families and the wider community. He is adamantly of the view that, "the British were broke, the hunger strike broke the British". As O'Rawe succinctly puts it: "The hunger strikers broke Thatcher's resolve." In essence, that's why the British made a good offer, which met almost in full four out of the five demands of the prisoners. The most important concession made was the right to wear their own clothes and not be forced to wear the prison uniform, the very symbol of criminalisation. Criminalisation of the IRA prisoners was at the centre of the hunger strikes. For years now, the republican leadership has rejected O'Rawe's account and has systematically tried to discredit both him and his version of events. Fearlessly, he has countered their arguments and refuses to be bullied by them. He and his family have had to endure persistent vilification and criticism. He has continued to examine the evidence that has come out through Government papers to strengthen his arguments. He has challenged senior republicans to debate with him publicly, but they have refused. He has supported the idea of an independent inquiry into the hunger strikes and would be willing to give evidence to it. Sinn Fein has refused to participate in such an independent enquiry. The party has even refused to go on TV with him to debate the issues arising from the hunger strikes. Now he says that they should have, "A bit of humility after 35 years - it's the decent thing to do". The problem is, neither Adams, nor Sinn Fein understand either humility, or the truth. A 74-year-old man has appeared before the Special Criminal Court charged in connection with the murder of Denis Donaldson ten years ago. Patrick Gillespie, with an address at Craigvar Street, Glasgow, Scotland was charged with withholding information regarding the involvement of another person in the killing of Denis Donaldson. Mr Donaldson, 55, a senior Sinn Féin official was shot dead at an isolated cottage near Glenties in Co Donegal in April 2006. He had been living there since his exposure as an MI5 agent the previous year. The Real IRA claimed responsibility for the murder in 2008 but the circumstances surrounding Mr Donaldson's outing as a British agent and subsequent murder have long been shrouded in mystery. A long-delayed inquest into the shooting has been adjourned almost 20 times. Gardaí have repeatedly urged the coroner to postpone the inquiry, citing concerns it might compromise their criminal investigation. The delays have been a source of anger for Mr Donaldson's relatives. They have launched a legal action against the Irish State as a consequence. In 2014, gardaí made a mutual assistance request to a police force outside the Republic in a bid to gain what it described as potentially "significant" evidential material. That material was secured in March this year. Two men were arrested in Donegal on Tuesday as part of the investigation into the murder. The second man, who is in his 40s, has been released without charge. A file is being prepared for the Director of Public Prosecutions. Irish detectives have arrested two men in connection with the murder of one of MI5’s most important spies inside the IRA. The pair have been detained for questioning about the murder of former leading Sinn Féin member Denis Donaldson in Co Donegal in 2006. The Garda Síochána said the men, who are in their 40s and 70s, were detained on Tuesday under the Irish Republic’s Offences Against the State Act. They are being held at Letterkenny garda station in Co Donegal. Donaldson, a former close associate of Sinn Féin’s president, Gerry Adams, was killed by a shotgun blast as he answered the door to his cottage near Glenties in April 2006. The 55-year-old had been exposed months before his death as an MI5 agent working inside Sinn Féin and the IRA. Dissident republican terror group the Real IRA admitted responsibility for the murder. Prior to his exposure as a British spy, Donaldson was a prominent figure in the republican movement and eventually became head of Sinn Féin’s administrative team in the Stormont parliament in Belfast. The inquest into his death has been delayed at least 19 times, with his family taking legal action against the authorities in Ireland over the delays. There have been allegations that a journal belonging to Donaldson was found in his cottage and, due to its sensitive contents, the Irish police have consistently applied for postponements of the inquest. The sole survivor of the Kingsmill massacre, when 10 Protestant workmen were killed by the IRA in 1976, has called for the “unvarnished truth” at the opening of an inquest into the atrocity. Alan Black survived despite being shot 18 times when members of the IRA’s south Armagh brigade opened fire on the workers at Kingsmill, in County Armagh, after stopping them on a minibus going to work. 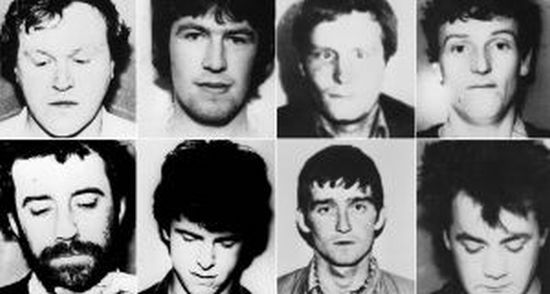 It later emerged at the hearing that two suspects connected to the killings were given “letters of comfort” from Tony Blair’s government as part of a secret deal with Sinn Féin during the peace process, to allow IRA members on the run, or wanted fugitives, back into Northern Ireland. Speaking outside Laganside courthouse in Belfast on Monday, Black said it was a “red letter day” for him and the families of the murdered men. “We have fought long and hard for this review. “Obstacles were put in our way. Thanks to these people we have gotten over each one,” he said referring to the families of those who died in the attack. The inquest will hear opening statements from family members of the murdered men. The atrocity was claimed by the South Armagh Republican Action Force in revenge for a loyalist sectarian double murder in the county. However, republican and security sources down through the decades have said the IRA was behind the Kingsmill killings, even though the organisation has never publicly admitted it. Monday’s inquest also ruled out a conspiracy theory that claimed an SAS captain, Robert Nairac, had a hand in the murders. Nairac went undercover within the IRA and was later killed by republicans after being abducted from a pub. The inquest was told that the soldier was not serving in Northern Ireland at the time of the atrocity. The inquest will also hear from police officers belonging to the historical enquiries team, a policing unit tasked with reopening unsolved cases from the Troubles. In 2011, the HET concluded the IRA was responsible for the Kingsmill massacre. A daughter has described the emotional meeting she had with the elderly woman who found her murdered mother's body lying on a lonely border road. 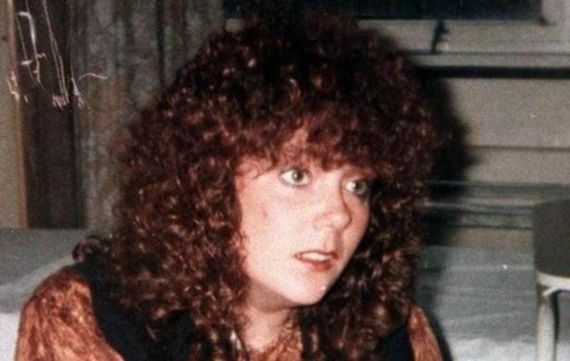 Shauna Moreland also revealed how police had let the body of 34-year-old Caroline lie on the roadside near Roslea, Co Fermanagh, for 13 hours because they feared the IRA had booby-trapped it. The heartbreaking delay was also caused by the fact that half of Caroline's body was on the northern side of the border and the rest was in the South, leading to lengthy talks between the RUC and Garda over which jurisdiction her murder fell. In a powerful interview with the Belfast Telegraph, Shauna - who was only 10 when her mother was murdered as an alleged informer in July 1994 - described the horrific details of her killing. "She was taken from west Belfast and brought to Fermanagh in the boot of a car where she was held for 15 days," she said. "She was killed, on her knees and blindfolded, with tissue under the blindfold. She was shot three times in the side of the head. I've pictured what happened in my mind 50,000 times." Last year Shauna met the woman who found her mother's body when she was out walking her dog at 7am that summer morning. "The lady was bed-bound and in her 80s," she said. "It was very emotional for me. I brought her a bunch of flowers and I apologised to her for what she had to see on the road. It devastated our lives, but that woman was traumatised too." Caroline, a single mother-of-three from west Belfast, was shot dead by the Provos six weeks before the 1994 ceasefire for allegedly working as an informer. Her family believe she was a victim of Freddie Scappaticci - named in the media as the high-ranking British agent codenamed Stakeknife - and are seeking truth and justice through the courts. The Morelands maintain that the authorities had ample opportunity to step in and save Caroline's life, but chose to let her die in order to protect a more senior and valuable alleged informer. The last time Shauna saw her mummy was at home ironing. "I miss her so much," she said. "I'm a chef and on Mother's Day I stand in the kitchen cooking food for God knows how many mothers. "It makes me sad and angry that I never had the chance to cook a meal for my own mother." Shauna explained how her two big brothers, then aged 13 and 14, also grieved for Caroline but that she felt her loss differently. "There are things for which daughters need mothers and she wasn't there, like buying my first bra and getting my first period," she said. "I had my grannies and my aunts, but it wasn't the same. Even now I feel that void. I'm not able to buy her presents. For 22 years on Mother's Day and on her birthday, all I can do is bring flowers to her grave. "On my 18th and 21st birthday parties I looked around the room at all the people who were gathered to celebrate with me, but the most important person wasn't there." It is not just on the big occasions that 31-year-old Shauna misses her mother most. "The smaller stuff is even harder," she said. "I called in on a friend the other day as she was making her mummy a cup of tea and it hit me that I'd never done that for my mother. I wouldn't have a clue how she liked her tea, if she took milk or sugar. "I get jealous when I see other people with their mummies. I had mine for just 10 years. She's been dead twice as long as she was with me." Shauna also told this newspaper how Caroline could not have been a better mother. "She was warm and affectionate," she said. "We always knew that we were loved. We felt safe with her, like nothing or nobody could harm us. "Other mothers can complain a lot about their kids, but mummy loved being with us. "She would have shouted at us for making a mess or being boisterous, but my strongest memories are of a house filled with fun and laughter. "During the summer holidays she wouldn't have the money to take us to Spain or Turkey, but she organised countless days out. We went on the bus to Newcastle or the train to Crawfordsburn. She packed sandwiches and took us to the Ulster Museum. "On Christmas Eve she had her rituals. She'd put a Christmas film on the TV and make hot chocolate for us. Then we'd be allowed to open two presents each - it was always the selection boxes and the pyjamas." When Caroline was abducted by the IRA relatives told the children she was in hospital. "She had a difficult birth with me - her spine crumbled and she had metal plates inserted - and she was in and out of hospital regularly, so we didn't doubt what we were told," said Shauna. "But I remember the phone ringing and my granny and daddy going upstairs afterwards to talk to my brother. I heard him crying, and he never cried. When they told me mummy was dead; I was hysterical." Shauna remembers being brought to the wake in her granny's home. "Mummy had auburn hair and her curls tumbled around her face," she said. "The woman in the coffin had her hair pulled back, so I said to myself: 'That's not my mummy'. I tried to escape from her death, to blank it out, rather than deal with it. "I told myself that mummy had just gone away on a wee break because she was tired of my brother and I fighting. I convinced myself she wasn't dead, that it was a dream and I'd wake to see her standing over the bed saying: 'Ready for school?'" After talking to relatives, Shauna and her brothers decided not to go to their mother's funeral. "I still don't know if it was the right call," she said. "I go to the funeral of relatives of friends and say to myself: 'I'm at the funeral of someone I barely knew and I wasn't at my mum's'." Shauna's one consolation is that the IRA did not try to hide Caroline's body. "At least they left mummy on the road. They didn't 'disappear' her like Jean McConville," she said. But Shauna is tormented by thoughts of the 15 days the IRA held Caroline. "I've gone over what could have happened and I probably imagine it 100 times worse than it was," she said. "The inquest found nothing to suggest she was tortured or assaulted, but they had her two weeks - they hardly did nothing." In her 20s Shauna started to Google her mother's name. "The words that constantly came up were 'IRA informer'," she said. "I hated that because it was the label the IRA had created to try to excuse or lighten murdering her. "Caroline Moreland wasn't just an IRA informer, she was a mother, a daughter and a sister. They tried to write her story, but I am here now to tell what they omitted." Shauna is particularly proud that her mother, along with her grannies, raised thousands of pounds for muscular dystrophy. And although she grew up in a working-class nationalist area, she was never taunted about her mother. "I wasn't filled with hate against the IRA, but when I heard people condemn the British or loyalists for what they did, I'd think: 'My own ones hurt me more'," Shauna explained. "Some media have wanted to steer me down the road of battering only the IRA, and I won't do that. The State was equally to blame for my mother's death. It made the bullet, the IRA fired it." Shauna has been told that she has a similar temperament to her mother. "That makes me happy, but I think mummy was more confident," she said. "She was a very strong woman. If she walked into a room, people knew she was there. She's my role model. I find the strength to fight for my mother from my mother." Many bereaved relatives pose for media photographs holding a picture of their loved one. Shauna refuses to do that. "It's too painful," she said. "I don't want to hold a photo, I want to hold her. I want to give her the biggest hug in the world and never, ever let her go." 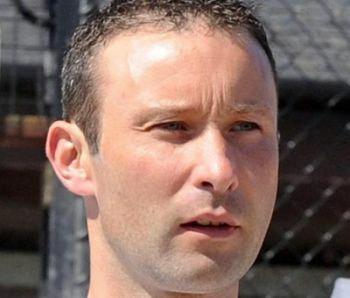 The only man charged in connection with the murder of prison officer David Black has been blocked from asking the Supreme Court to overturn an order for him to stand trial. Senior judges in Belfast refused Damien McLaughlin's application after rejecting claims his case raised a point of law of general public importance. Lawyers for the 39-year-old claim he was unfairly denied the chance to cross-examine a key prosecution witness. They also contended that a district judge who committed him for trial applied the wrong legal test. McLaughlin, from the Kilmascally Road in Dungannon, is facing four charges in relation to the prison officer's killing. They include aiding and abetting his murder, having a Toyota Camry car for use in terrorism, preparing a terrorist act by starting and moving the vehicle which the killers used, and belonging to a proscribed organisation, namely the IRA. Mr Black was shot dead on the M1 in Co Armagh in November 2012 en route to work at high security Maghaberry Prison. The 52-year-old father of two was the first Northern Ireland prison officer to be murdered in nearly 20 years. 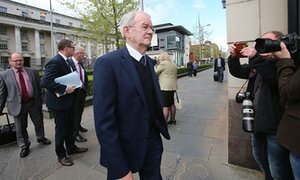 The prosecution alleges McLaughlin transported the Toyota car across the Irish border on the eve of the attack. In June last year a preliminary investigation resulted in the district judge ordering him to be returned for trial. McLaughlin's legal team launched judicial review proceedings against decisions to admit hearsay evidence and to return him for trial. Their challenge centred on statements from a man who was arrested and interviewed by the Garda as a suspect in the murder plot. He was not called as a witness during the preliminary investigation. Counsel for McLaughlin, who is currently on bail, argued that there is a statutory right to cross-examine witnesses before trial. A prosecution barrister countered that the proceedings were a form of satellite litigation. Last month the High Court dismissed the judicial review challenge after ruling there was nothing irrational or perverse about the process. McLaughlin's legal team returned on Tuesday to seek permission from judges to take their case to the Supreme Court in London. But refusing leave, Lord Chief Justice Sir Declan Morgan said: "We have decided we are not going to certify a point of law of general public importance. "The decision for the magistrate in committal (proceedings) is a broad discretionary judgment taking account of all relevant factors. "We have concluded the magistrate did not err in the approach in this particular case." Efforts are being made to obtain evidence from an American witness in the case against a veteran republican charged over the killing of Jean McConville, a court heard today. 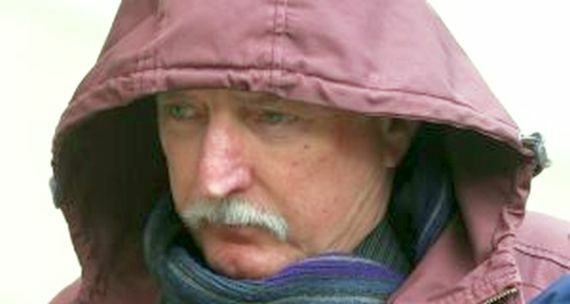 A prosecution lawyer disclosed attempts to have them compelled to testify about alleged offences linked to Ivor Bell. The 79-year-old faces charges of soliciting to murder connected to an allegation that he encouraged or persuaded others to kill Mrs McConville. The victim, a mother of 10, was seized by the IRA from her Divis Flats home in west Belfast in 1972 after being wrongly accused of being an informer. Following her abduction she was shot dead and then secretly buried. Her body was discovered on a Co Louth beach in 2003. Mr Bell, from Ramoan Gardens in the Andersonstown district of the city, was arrested and charged in March 2014. The case against him centres on an interview he allegedly gave to US researchers from Boston College as part of a project with former paramilitaries about their roles in the Northern Ireland conflict. 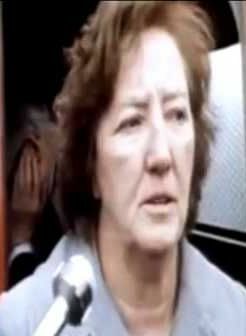 Although transcripts were not to be published until after the deaths of those who took part, a US court ordered the tapes should be handed over to PSNI detectives investigating Mrs McConville’s killing. It is alleged Mr Bell is one of the Boston interviewees, given the title Z, who spoke about the circumstances surrounding the decision to abduct her. A voice analyst has been enlisted as part of the case. The accused - who is currently on bail - denies any role in events surrounding the murder, claiming he was not even in the city at the time. His lawyers contend that he does not have a case to answer. They are expected to mount an attempt to have the charges thrown out at a preliminary inquiry hearing where witnesses can be cross-examined in a bid to test the strength of the evidence. At Belfast Magistrates’ Court on Monday, prosecution lawyer John O’Neill provided an update on proceedings. He indicated that efforts have been made to compel an unnamed witness from America to give evidence. However, that person remains unwilling to comply with requests. An application may now be made to have this evidence admitted on a hearsay basis. The case was then adjourned until next month when the prosecution is expected to finalise its position. The family of a murdered Belfast mother-of-three has won High Court permission to challenge the PSNI for not including her killing in a major investigation into a top British spy in the IRA. A judge granted leave to seek a judicial review of the Chief Constable's decision not to have Caroline Moreland's abduction and shooting form part of the inquiry into the activities of agent Stakeknife, named widely as Freddie Scappaticci. Mr Justice Colton ruled that police are arguably under a legal obligation to carry out a probe into the circumstances surrounding Ms Moreland's death. Ms Moreland, a 34-year-old Catholic, was tortured and killed by the IRA in July 1994 for being an alleged British informer. Despite an RUC investigation no-one has ever been charged or convicted of her murder. Her children have issued proceedings in a bid to secure a fully independent probe. At an earlier hearing it was claimed that west Belfast man Scappaticci was permitted to engage in a murder campaign in order to strengthen his position as a British spy. It was claimed the relatives of up to 50 victims are waiting for answers. Scappaticci left Northern Ireland in 2003 when he was identified by the media as Stakeknife. Before quitting his home he vehemently denied being the agent. In October last year Director of Public Prosecutions Barra McGrory QC called for police to examine Stakeknife's activities, along with what was known by RUC Special Branch and MI5. Relatives of those allegedly killed by the IRA's internal security team, the so-called 'Nutting Squad', have backed that move. But they are opposed to the PSNI taking charge amid suspicions of security force collusion. Chief Constable George Hamilton has decided detectives from an external force should handle the inquiry, with confirmation of who will take charge expected next month. Any investigation into Stakeknife could last five years and cost up to £35million. With Ms Moreland's murder currently not featuring in the planned inquiry, lawyers for her family claimed it was an unlawful exclusion. They insisted police are obligated by Article 2 of the European Convention on Human Rights to investigate the killing in the Stakeknife probe. Counsel for the PSNI argued that the legal challenge was premature and insisted no decision has been made to exclude the Moreland murder. But Mr Justice Colton held today that the Chief Constable has arguably acted unlawfully by failing to include her death in the examination into the agent. He also granted leave on points about delay, the requirement to ensure an independent investigation, and an alleged failure to properly involve the next of kin. Stressing that his decision was no indication of a final outcome in the challenge, Mr Justice Colton listed the case for a further review next month. 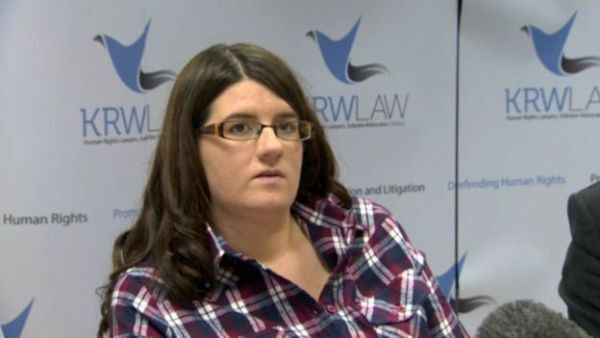 The Moreland family's solicitor described the ruling as "a vindication of their fight for justice". Kevin Winters also claimed others in the same situation were having to resort to the courts to contest "regressive decisions". Speaking outside court he said: "There are currently over 40 such challenges pending before the courts with no sign of any let up in the near future. "Those statistics are a depressing reminder of the ongoing political failure to deal with the past compounded by recent pronouncements about lack of money." Mr Winters added: "We look forward to the next stage of the proceedings and hope that today's ruling will help get the outside police force off the ground in what will be a massive inquiry." This page was loaded Apr 22nd 2019, 10:26 pm GMT.